Hello! Yes, it's a Christmas card again. I'm still sharing from before this past holiday. The sentiment panel came from a scrap bag, and though I know it's a Stampin' Up! stamp, I do not know which set. I added it to some pretty patterned paper, threw on a few snowflakes (topped with glitter glue -- barely visible in the photo, and gems). 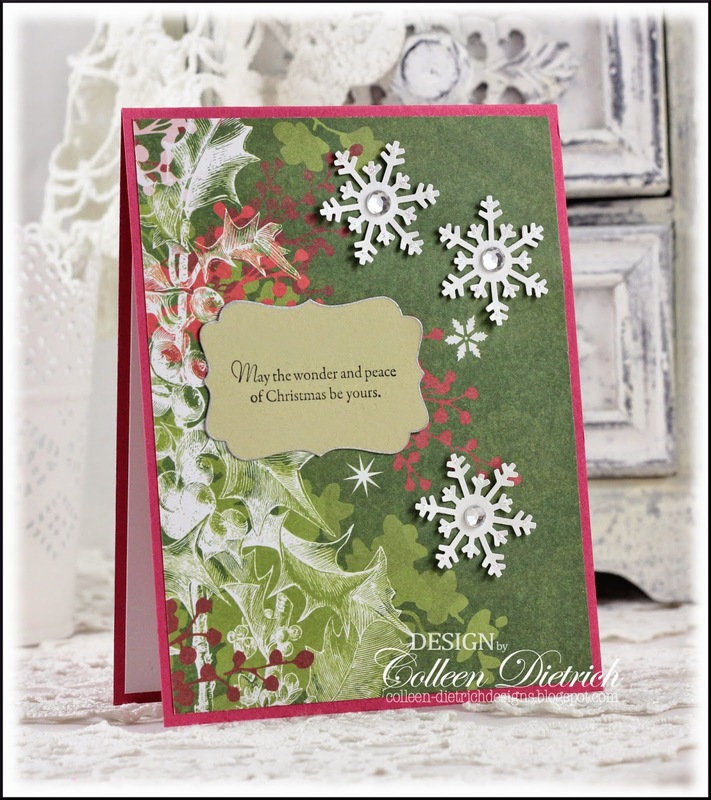 Beautiful paper and love the placement of the snowflakes! It may have been quick, but not much needed with that PP! Very gorgeous paper! I thought at first maybe you'd stamped the white holly. Gosh, you sure must have been busy for a while there to have all these cards! So pretty, Colleen! 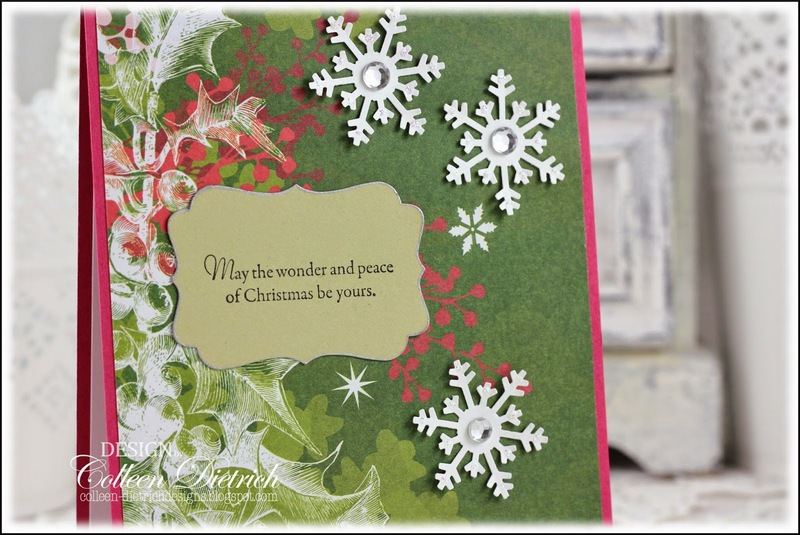 Wonderful background paper and lovely snow flakes! Love that gorgeous paper, Colleen. Your card is super pretty. Wow what pretty background paper, this is just beautiful Colleen!! Those snowflakes look wonderful. LOVE this card. Great paper and love the added snowflakes. Great card for mailing. Ooo la la, Mr. & Mrs.